We have a client at the moment who is looking to add a third storey onto their city centre terraced home. Having run the idea past the planners they have at first pass been turned down because of not wishing to set a precedent in the area. But the area in question is a built up urban area is a highly desirable place to live where young families with children areand limited external space are crying our for more room so should this not be an idea that the planners should support?. however because they have a city garden they cannot extend out so up is their only hope of finding the additional space that they need. Our clients are not alone so many family’s face the issue of needing more space but find that the cost or relocating is far too much –You need to pay estate agency fees for the sale of your property, solicitors’ fees and search fees, stamp duty on the property you are buying, removals costs, survey fees, plus perhaps the cost of decorating. Also a substantial sized family home is a god central location comes with a hefty price tag so why are the planners being so regimented and not allowing the city to expand in the way that it desperately need to do. When deciding whether to add a second level, the first consideration is whether the existing structure is strong enough to hold another storey a structural engineer will be able to advise and additional structure may be required before you start. One of the advantages of extending upwards it that it won’t impact on your garden below so like our clients is ideal for those with small out door areas. 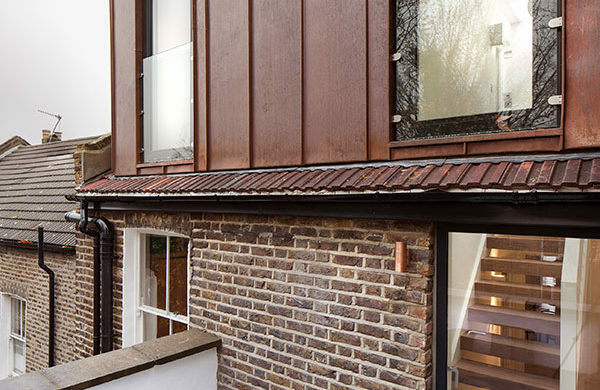 Do bear in mind that some of the ground-floor area will have to be sacrificed to create access to your new storey. Typically you will lose about the footprint of a small bedroom to make room for your new staircase and the circulation space around it. 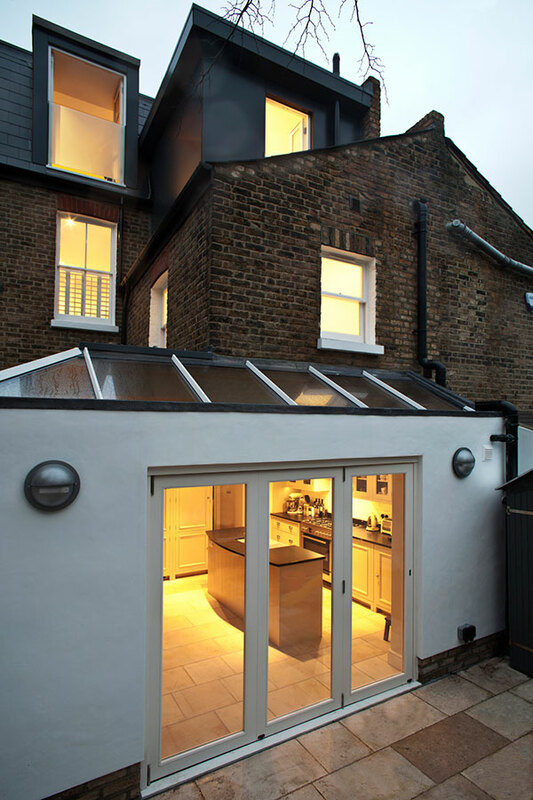 Adding another storey is more expensive than extending by the same area on the ground floor. This is because of the structural implications of building on top of your existing walls as well and the need for extra scaffolding. Building up can involve more complications and regulations with local councils because there are rules to ensure the upstairs rooms do not block the neighbours’ sunlight and there are restrictions to avoid overlooking neighbouring properties.